Despite being an award-winning chef today, Michelle Briggs almost didn’t make it. In the early 1980’s Michelle attended Thanet College in Broadstairs, England where she earned a culinary degree. Her first job was at the Regent Palace Hotel in London. Boasting a whopping 1,000 rooms it was the largest hotel in England at that time. The number of meals she had to oversee every day taught her speed. “We would be making meals from scratch for 500 people at a time! I learned so much from the angry, scary chefs I worked with there. It makes me quake to think of them even now,” she laughs. Fortunately, she was forgiven due to her outstanding culinary prowess and returned the next year. This time she stayed and has been in the United States ever since. Michelle has had the opportunity to work with many top chefs who taught her perfectionism and pleasing customers. Over the past decade Michelle has won numerous awards totaling many thousands of dollars in prize money for her food artistry. 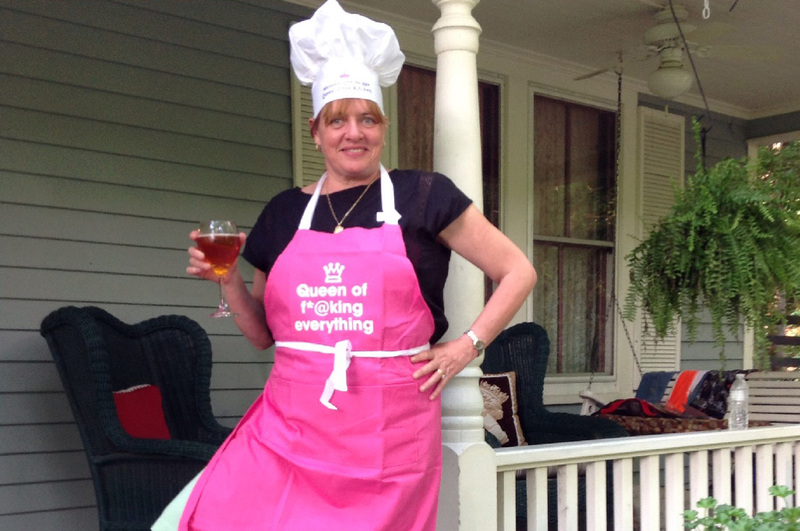 “I’m very proud of the cooking awards I’ve won, considering how many fantastic chefs there are in the United States,” says Michelle, modestly. Michelle is also very active in her community of Haywood County, North Carolina. As the Co-Founder and Vice-President of Women of Waynesville (WOW) inWaynesville, NC , Michelle Briggs has helped raise tens of thousands of dollars in donations that go to help benefit women and children in the community. To discuss catering for your upcoming event, party or wedding, please contact Michelle at (828) 246-9815 or email her.